PlayStation 4 Pro users can play in Cinematic or Performance mode. 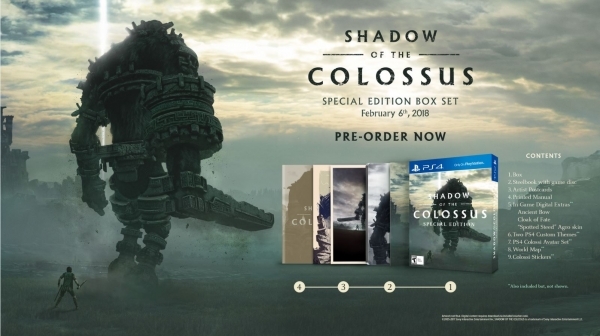 Sony Interactive Entertainment has announced a “Special Edition Box Set” for the upcoming Shadow of the Colossus remake. Shadow of the Colossus is due out for PlayStation 4 on February 6, 2018.